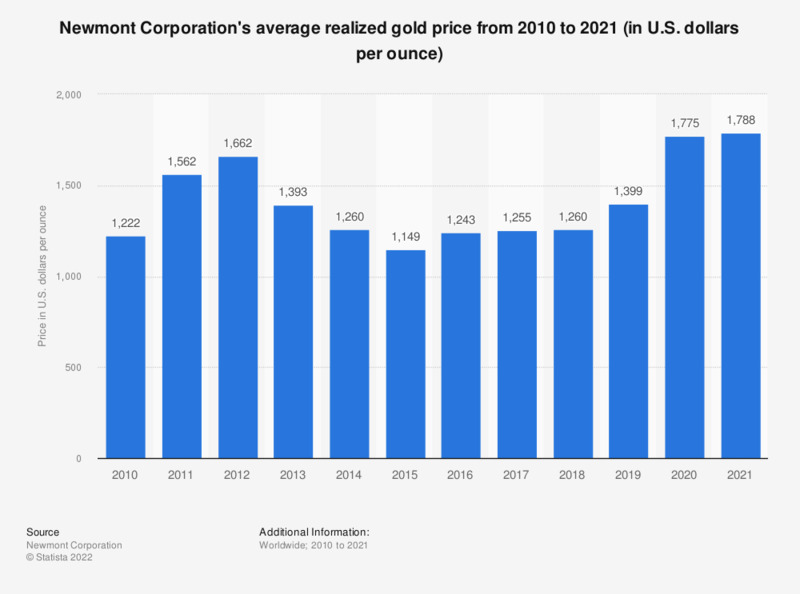 This statistic shows Newmont Mining's average realized gold price from 2008 to 2018, in U.S. dollars per ounce. United States-based Newmont is one of the the world's largest gold producers. In 2018, the company realized an average gold price of 1,260 U.S. dollars per ounce.